There's a new pilates studio in Koregaon Park and it has been started by world-famous celebrity trainer Namrata Purohit named The Pilates Studio and we suggest you join it. This unique art which is a melange of exercise and body movements helps you improve your lung capacity, flexibility, mind-body balance and oxygen intake. At The Pilates Studio by Namrata Purohit in KP, Puneites can now train under experts in private sessions as well. No kidding, the studio has unique infrastructure such as the Cadillac Trapeze Table for free aerial exercises. Grand piano, guitar, violin, drums, harmonica, saxophone- name any instruments, and you can learn it in The Music Box. A premium performance arts and music academy situated in Koregaon Park, it teaches you the nitty-gritty of music and ditches the idea of group teaching by training you in an exclusive one-on-one session. You can take lessons for off-beat instruments such as saxophone, harmonica and other percussion instruments. For vocals, you can choose between western singing and Bollywood music. Under the guidance of experts from the field, you can train yourself to become a musician as well. Ditching the fancy baking methods, we found a home-baker who bakes heavenly delicacies by strictly sticking to traditional recipes that have been passed from her older generations. Whisk It Good, a venture by Lovina Raymond is known for dishing out authentic baked goods and Jewish delicacies that will leave you craving for more. This Christmas and Hanukkah, you can opt for these authentic cakes such as honey apple upside-down cake and gingerbread cookies and spread sweet festive vibes. Also, this festive season, they have special Hanukkah and X-mas hampers starting at just INR 200. We bet you all will agree that a bonsai adds grandeur to your garden. These miniature creations are simple to create and are very therapeutic. Want to learn to create a bonsai? Sign up for classes at Kapilaas Creations in Pimpri-Chinchwad and you are just a few steps away from creating a Pinterest-worthy garden. Under the guidance of trained bonsai expert, Shaileja Krishna, you can also learn other gardening techniques and plant maintenance. Vegan leather- yes, you heard it right. 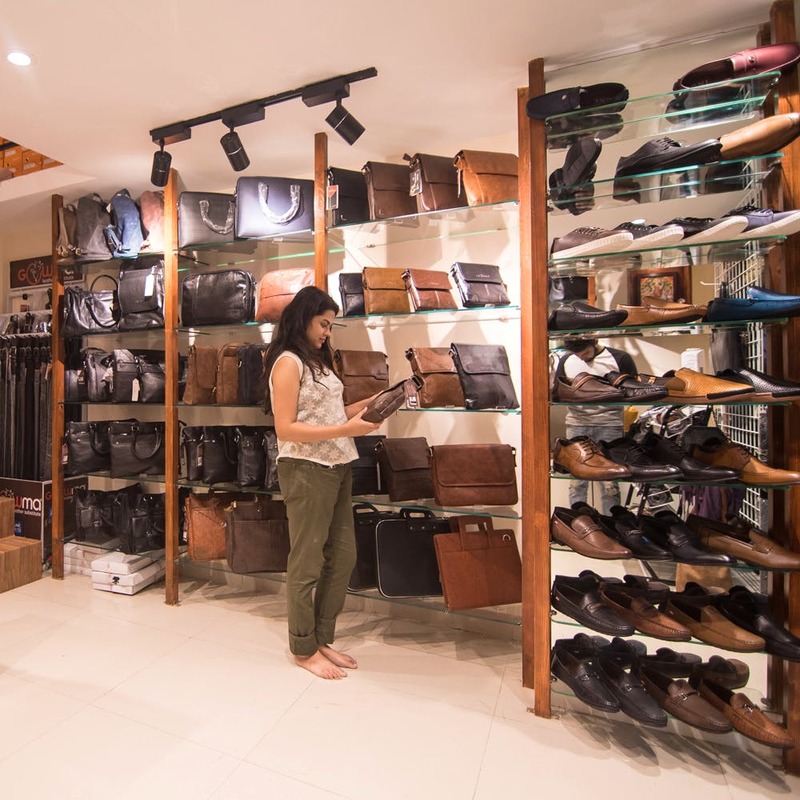 Having the same glossy texture and tough durability, we found some amazing products from Gowma, a classy store on Bibwewadi-Kondhwa road, that manufactures trendy yet eco-friendly handbags, wallets and much more albeit without using leather. The store owner told us that they import the fabric which is a vegan substitute for leather, especially from Germany and China. We loved the varied designs these bags had. We found totes bags, unisex slings, satchels, office bags, laptop bags, shopping bags etc, starting at just INR 700.